If you are upgrading to a new iPhone, don’t forget to unlock your old one for an easier and higher resell of your old iPhone. I’m on AT&T and totally forgot about this. I ordered the new iPhone 5 to replace my AT&T iPhone 4. AT&T actually has a page spelling out the eligibility of unlocking your iphone here. I put my request in a few days before I got my iPhone 5. However, I received and activated my iphone 5 before AT&T replied back to my unlock inquiry. The sad news from AT&T, they only unlock your eligible iPhone ONLY if it’s still active. After calling and trying at local AT&T stores, AT&T refused to unlock my old iPhone 4 because it is no longer “active” on the AT&T network. Reminder, unlock your old iPhone 4 or 4S first before activating your new iPhone 5! Luckily, you can go to eBay and buy an iPhone unlock service as low as $15! All you need is to give them your IMEI number, and they set you up. You restore your phone on itunes and there it is unlocked. Feel free to use your phone internationally, sell it for $50-$100 more, or give it to friend or family to use on any carrier. 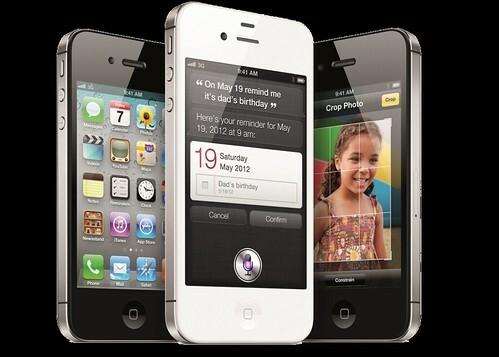 What are the missing iPhone 4S and iOS 5 features? 1. Battery life is horrendous – First issue is related to the iPhone 4S’s battery life which could be related to iOS 5. The iPhone 4S with iOS 5 is a battery killer. I cannot use the iPhone throughout a normal day (7 hours) without plugging it into a charger. 2. Phone vibration is too weak – This issue is also related to the iPhone 4S hardware. The iPhone 4 and 4S are heavy. As a result the vibration for phone calls and text messages are extremely settle which leads to missed calls and texts. The vibration lasts .4 seconds. I can’t feel a phone call when the phone is in my pocket — whether I am walking or sitting down. I have also heard many others echoing my sentiment. 3. Alarm clock does not turn on the phone – This issue is related to hardware and software. When the iPhone is power off, the iOS clock alarm doesn’t turn on the phone unlike Blackberry devices. I normally turn my off my Blackberry Pearl from 2006 before I go to bed as I don’t want to hear the phone vibrate when emails, text messages and phone calls come in. The Blackberry served as my alarm clock to help wake me up each morning. Another benefit is the Blackberry would seamlessly show me emails from the prior night first thing in the morning. So if you want uninterrupted sleep and use the iPhone as the alarm clock, you can forget about it. The alarm on the iPhone would not turn on the iPhone. I’ve actually overslept today because this issue. My current work around is to set the iPhone on airplane mode and leave my iPhone on so I can use the alarm clock to wake me up. 3a. Alarm clock requires you to reconfigure it everyday. For example, I set my alarm to wake me up at 7:00am and the default setting is off after I turn off the alarm. I’ve to swipe the alarm to make sure it’s on for the following day. 4. Limited notification settings – Furthering points 2 and 3, there’s no way for you to set different vibration modes for different messages. Every message (email, SMS, iMessage, Facebook message, etc.) vibrates once to notify you of a new message. On all Blackberries, you can setup specific rings and vibration for each type of messages you’re getting on your phone (i.e., 1 vibration for emails, 2 vibrations for SMS, etc.). The iOS 5 Notification Center is not a true notification center. 5. No custom dictionary – While the new shortcuts setting allows you to type faster, the iPhone 4S (iOS 5) does not provide a custom dictionary for users to configure your typing habits and add words. You will have to force the iPhone to learn your most frequent used words. The Blackberry and Android operating systems are far superior than the iPhone in adapting to users’ typing behaviors. 6. Can’t customize keyboard layout – The iPhone keyboard is very good compared to Android touch screen keyboards. However, Apple needs to realize the iPhone keyboard layout is not for everyone. I’m a big fan of compact QWERTY while some of my friends prefer Swype. iPhone users are limited to three (3) keyboard layouts (QWERTY, AZERTY, QWERTZ). No one has ever heard of two out of the three available keyboards. I highly doubt anyone has ever used AZERTY or QWERTZ keyboards. 7. No time stamp on iMessages and text messages – The chat thread feature is nice (since it was copied from the Palm Treo) but it doesn’t have time stamps for each text message or iMessage sent and received. If you had a conversation that started at 3:00PM and ended at 3:15PM, there is no way that the last message sent or received took place at 3:15PM. I can’t say I’m overly impressed with Apple’s iPhone 4S and iOS 5 when they’ve overlooked so many basic phone features. Hopefully someone at Apple working on the iPhone 5 adds the above list to their enhancements.